Here are a few of the initiatives undertaken by Saskatoon residents and organizations in 2015 to help make Saskatoon a more sustainable city. Saskatoon Cycles invites you to ride your bike from one restaurant to another on the second annual Winter Bike the Moveable Feast on Jan. 23. Sask Outdoors will be hosting their annual general meeting on Jan. 23 in Lumsden. There will be a lunchtime presentation by Rosemary McCallum, a participant of the Nimis Kahpimotate Sister Journey Women's Wilderness Canoe Trip. 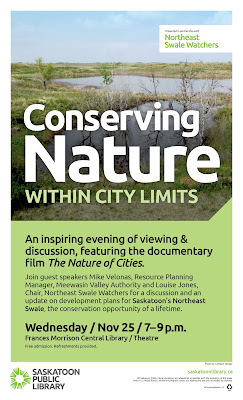 Check the Saskatoon Nature Society’s website for full details (e.g. some trips require rubber boots; others will be cancelled if the weather is bad). Can it be recycled? How can I dispose of it? The City of Saskatoon’s online Waste Wizard provides the answers. San Mateo’s wastewater treatment plant will produce fuel for its City vehicles. A one-day workshop on natural processes for the restoration of drastically disturbed sites will be held in Saskatoon on Feb. 16 in advance of the Prairie Conservation and Endangered Species Conference. The Saskatchewan Living Green Expo showcases local, environmentally friendly products and services as well as talks by green living experts. This year's expo will be held at Prairieland Park from Feb. 26-28. FatLanders FatTire Brigade is the only known FatBike specific cycling club in Canada. Their members organize weekly rides throughout the winter and will be hosting several special events in conjunction with the Wintershines Festival in January. Stuart Houston is the 2015 recipient of the Meewasin Conservation Award which is presented annually to an individual who has made an outstanding contribution to the natural heritage resources of the Meewasin Valley. Stuart is recognized as one of the leading authorities on birds in Canada. Using real-time data collected over the past few months, the City of Saskatoon is launching new garbage and recycling collection routes that have been optimised to make trips as short and direct as possible, reducing fuel consumption and reducing the City’s carbon footprint. The Wolseley Nature Conservation Society’s nature trails are designed to bring people together to enjoy nature. 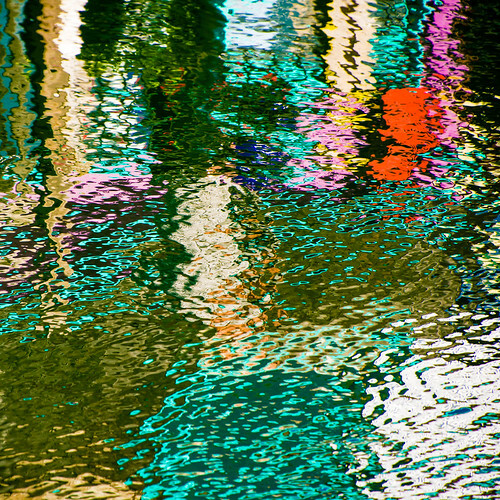 With 47,000 ships and 3 million trucks transporting goods around the world, opportunities to reduce our impact abound. 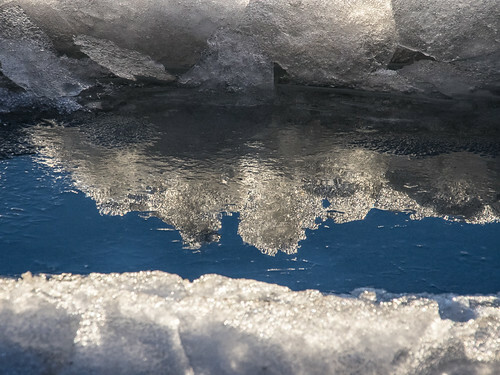 Nine issues for climate change leaders to think about after COP21 – from the easy to the very, very hard. 54% of trips are made by foot in Vitorio-Gasteiz, Spain. And, instead of a ring road, they’re building a 1,000 hectare greenbelt. The Social Tech Guide highlights 1000 social ventures that are addressing complex social challenges through digital technology. Ventures range from the next generation of wind and solar technology to divers mapping and clearing ocean debris. One of the key elements of passive house design is the energy modelling that is carried out prior to undertaking construction. “All the building elements are entered into the model,” Robin explains. “It tells you very accurately what your energy consumption will be.” Mike Nemeth, Bright Buildings, who has assisted in the engineering and design of the building, says that it’s important to get more people trained in the use of the PHPP design software. The software contains everything necessary for designing a properly functioning passive house. 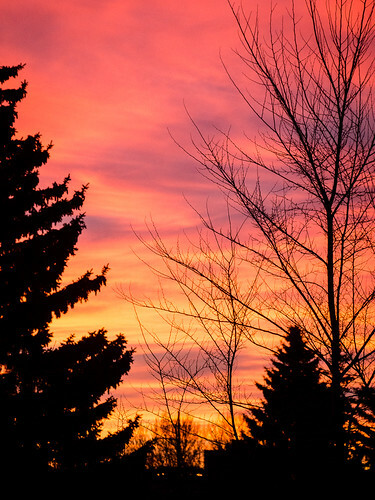 Although Saskatoon has bitterly cold winters, the City and the Province have not yet incorporated energy-efficiency standards into the building code. "The building industry needs to realize that we can achieve energy efficiency with very little additional effort on each of the planning, design, and construction stages," Mark says. "Builders will be surprised at what can be achieved for little additional cost. The City, for their part, should take a leadership role and not wait for provincial legislation of a more progressive building code. Much has changed since the early 1980s and an increase to these standards is long overdue, particularly when one considers the amount of energy required to heat our homes here in Saskatchewan and household contributions to carbon emissions each year." The Temperance Street house’s foundation is completely insulated. It sits on and is surrounded by foam insulation. The Larsen truss walls and triple-glazed, Passive-House-certified windows also contribute to the house’s energy-efficient design. The house’s airtightness is put to the test twice before it receives passive house certification. 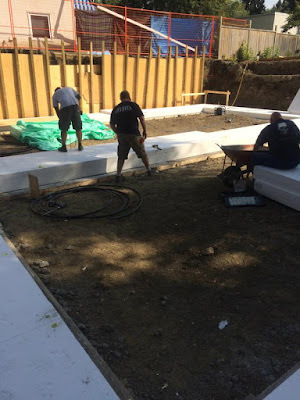 The first blower test is conducted after the framing and the second after everything is in place. An R2000-certified house has 1.5 air exchanges per hour. There can’t be more than .6 air exchanges per hour to receive passive house certification and Robin Adair hopes that the Temperance Street duplex, which has gone beyond the minimum requirements, will achieve .2 or .3. Passive house design is common in Germany and other parts of Europe but much less so in North America. One of the challenges is demonstrating that passive housing is affordable as well as energy efficient. 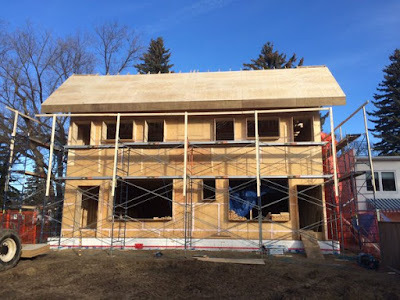 Mike Nemeth hopes that at least one unit of Saskatoon’s Radiance Cohousing will be certified passive, and the principles of passive house design will be used throughout the complex to ensure high levels of energy efficiency. Ottawa’s Salus Clementine, a 42-unit housing complex for residents living with mental illness in Ottawa, has been designed to achieve LEED for Homes Platinum status while adhering to the Passive House standard. A great many local resources are available to people who are interested in building or renovating their home to make it energy-efficient. Green Drinks Saskatoon will be meeting at 5:30 pm, Dec. 11, at the Capitol Music Club. The Saskatoon Zoo Society is hosting a drop-in interpretation program for kids from 1-3 pm, Dec. 29 & 30. The Christmas Bird Count for Kids will be held on Jan. 2 in Saskatoon and Jan. 3 in Regina. Children ages 9-13 are invited to register for the spring session of the Wascana Junior Naturalists. Only 20 spots are available for each session. 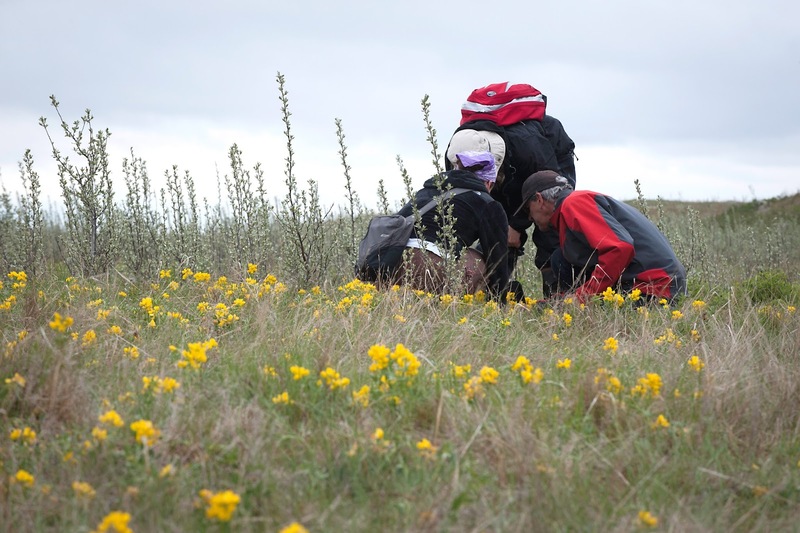 The Native Plant Society of Saskatchewan is holding its annual general meeting and conference on Jan. 30, 2016. The theme of the conference is invasive species. The Government of Saskatchewan is opening up wolf hunting in selected areas on Dec. 15. Ostensibly, it’s to prevent livestock predation, but many ranchers and scientists believe it’s the wrong approach. Rancher Gord Vaadeland, CPAWS-SK, says,“Wolf culling is more likely to increase predation on livestock than it is to reduce it. The science is pretty clear on this. According to the largest study ever done on wolf culling and its impact on livestock predation rates, for every wolf that is culled through this type of program, predation of livestock rises on average by 5 to 6 percent." The PLAN Plastic-Free Campus Manual is available online and includes tips on conducting a plastic audit, identifying alternatives to single-use plastics, and making plastic-free a positive experience. In a lengthy article, Chris Turner reviews the successes and failures of Ontario’s green energy plan, pointing to the need for community involvement and corporate support. With 71 buildings. the Saskatoon Health Region is always on the lookout for ways to reduce utility costs and save energy without using patient dollars. Brian Berzola, Director, Facilities Management, and Doug Archibald, Manager, Energy Services, shared some of their triumphs and challenges. The Saskatoon Health Region (SHR) has just completed Phase I of an energy performance contract with Johnson Controls. Johnson Controls worked with Health Region employees to identify energy saving projects at Royal University Hospital that were guaranteed to save money. This guarantee from Johnson Controls permitted SHR to borrow the money needed to complete the projects and they’ll use the savings to pay back the loan. The contract covers projects that will have a payback (total investment divided by annual savings) in 15 years or less. Royal University Hospital is an older hospital. 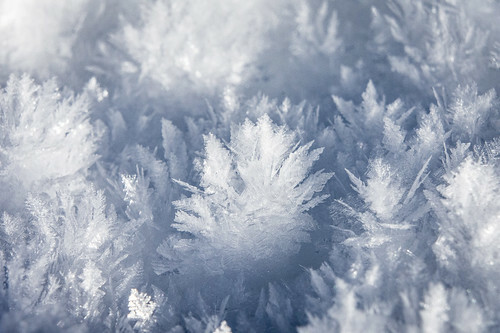 Large fans maintained a 24-hour air flow exchange, even in areas that were only used 8 hours a day, and consumed large amounts of energy. SHR has now installed electronic occupancy controls to ensure that the fans are shut off if the area isn’t in use on evenings and weekends. Lighting throughout the hospital was reviewed and replaced with more energy-efficient lighting, either LED or T8 fluorescent light fixtures with electronic ballasts. LED lighting was chosen for exterior sites as well as hallways and public areas, while T8s were used in patient rooms that require a softer light. When putting together an energy performance contract, the goal is to put together a package that not only pays off your investment but also leaves you with a surplus that can be put towards projects that you couldn’t otherwise afford. The Health Region applied some of the surplus dollars to install full spectrum LED lights in the Mall. “We wanted to remove the doom and gloom and give more of a daylight experience,” Brian Berzola explains. 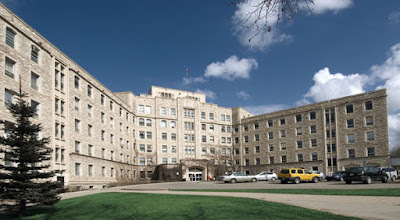 Royal University Hospital is heated by steam purchased from the University of Saskatchewan. It comes across in huge pipes that can lose a lot of heat in transit. Jackets have now been installed to insulate the pipes and prevent heat loss. Weatherstripping was also used to insulate doors and windows throughout RUH. Steam travels from the University to RUH and the condensate then makes the return journey to be reheated and reused. Steam traps capture the latent heat before the water is sent back. If they’re not tight, heat is lost. 100 steam traps were replaced and the Health Region anticipates a payback in just a couple of years. “By replacing the steam traps, we reduce the amount of heat that we have to purchase and we reduce the need to cool the rooms where the steam was escaping,” Doug Archibald explains. Low-flow toilets were installed throughout Royal University Hospital. The Health Region is looking at additional environmental sustainability projects which are outside the parameters of the energy performance contract. Parking is hugely expensive to build and maintain. It’s also extremely complex. “We’re constantly trying to identify the right quantity of parking and to find the right balance between parking that is close to where people work (e.g. for night staff or a doctor delivering a baby) and further away for office staff who only work Monday to Friday. It’s also important to provide adequate handicapped parking. The Health Region is working with the City of Saskatoon to identify other possibilities, such as park and ride or special buses that stop at the door of the hospital. “We’re always looking for ways to reduce congestion and demand on our parking lots,” Brian says. Medical facilities face a particular challenge when attempting to recycle and reduce waste. The Health Region has a small recycling program for some plastics, cardboard and paper, and batteries, and they’re interested in expanding the program to incorporate other items. The biggest problem is medical waste as it has proven to be extremely difficult to ensure that medical waste is completely separated from other garbage or recycling. Medical waste is sent to Biomed Recovery & Disposal in Aberdeen for processing. They do their best to sterilize everything, but some material has to be incinerated. Because it’s so hard to guarantee full separation, contractors are forced to immediately bury every load of waste that is removed from the Health Region. There is an ongoing debate regarding the use of disposable versus reusable items. Reusable items may, at first glance, appear to offer an energy savings; however, that isn’t always the case. Heating and sterilizing equipment uses a lot of energy, equipment, and people and poses an additional liability risk. Similarly, with a central laundry in Regina, the energy consumed in transportation must be factored in when considering cloth versus disposable paper gowns. Patient Washrooms: A UV light can be installed over washroom doors with a motion sensor that is only turned on when the door is closed and no one is in the room. Once activated, it disinfects the whole room. UV Light Scrubbers: UV light scrubbers can be mounted on the ceiling, directly above a patient’s bed. Fans draw the air up, and it travels through chambers where it is scrubbed clean before being put back into the room. Brian and Doug emphasize that they work very hard not to divert dollars intended for patient care to energy projects. However, in the long run, energy savings and infrastructure improvements will lead to a safer, more comfortable patient experience. Let’s hope that the Saskatoon Health Region continues its search for ways to reduce energy consumption. Chris Richards, the Energy and Sustainability Engineering Section Manager, City of Saskatoon, will be presenting on the work of his section, which includes combined heat and power, route optimization (fuel savings), and energy performance contracting at the Energy Management Task Force breakfast meeting on Dec. 2. He will also discuss some of the latest developments related to the City signing on to the Compact of Mayors and creating new corporate and community greenhouse gas emissions inventories. The Meewasin Valley Authority will consider an application from Graham Construction on the early work on the North Commuter Parkway at their regular meeting on Dec. 4. The public is invited to attend and make presentations. Peter Flood will explain why birds are as astonishing on the inside as on the outside at the 7:30 pm, Dec. 10, meeting of the Saskatoon Nature Society. 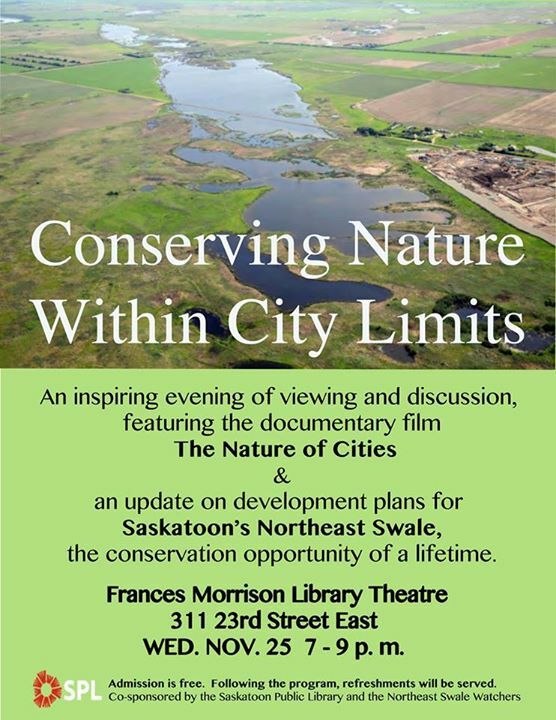 For more information, contact the Saskatoon Nature Society. This Changes Everything, a film based on Naomi Klein’s book, will be screened at the University of Regina, from 1:30-4:30 pm, Nov. 29. 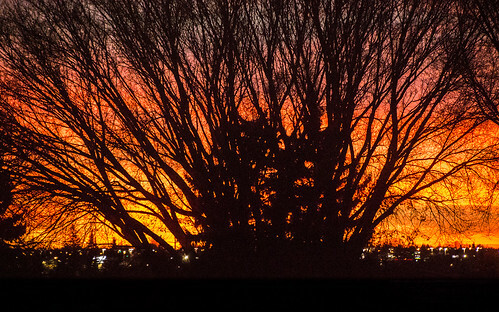 Wascana Centre is holding an Open House at 7 pm, Dec. 2. The architects will present a draft WCA Master Plan. 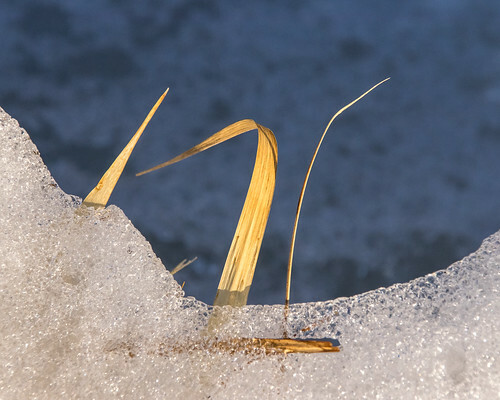 Discuss the vision, mission, and goals for Permaculture Regina at the Permaculture Regina Visioning Session from 10 am to 3 pm, Dec. 5. Join PermaSask from 10 am to 12 pm, Dec. 6, for a Drop-In Brunch celebrating World Soil Day, International Year of Soil, and Winter Solstice. Bring food to share, participate in a compost exchange, and play the Soil Game. The International Wildlife Rehabilitation Council is holding the Wildlife Basic Skills Course in Saskatoon on Feb. 27-28. The course is a must for anyone interested in becoming a licensed Wildlife Rehabilitator and an asset for those looking to volunteer in wildlife rehabilitation. This month, EcoFriendly Sask supported the Northeast Swale Watchers with a $500 grant for a brochure and pin to equip and empower citizens to speak up on behalf of the Swale. Note: This article is based on a conversation with Mike Velonas, Manager of Planning and Consservation, Meewasin Valley Authority, and emails from Alan Wallace, Director of Planning and Development, City of Saskatoon. The northeast swale is an ancient river channel that stretches north and then east from the Forestry Farm before connecting with the current river valley at Clark’s Crossing. It’s a shallow rock-strewn basin that stretches for 26 kilometers. The Meewasin Northeast Swale (The Swale) is the small portion of the swale that falls within City of Saskatoon boundaries (300 of 2800 hectares in total). The remaining 90% of the swale falls within the rural municipalities of Corman Park and Aberdeen and is referred to as the Greater Swale. The Swale represents one of the few remaining remnants of native prairie ecosystem and is an important wildlife corridor that is home to more than 200 native plant species, 180 bird species, and a variety of other animals. It is a natural filter for air and water and helps to mitigate flooding in surrounding neighbourhoods. The Meewasin Valley Authority was created in 1979 by an Act of the Province of Saskatchewan and is the means by which its three participating parties – City of Saskatoon, Government of Saskatchewan, and the University of Saskatchewan – have chosen to manage the Meewasin Valley in the South Saskatchewan River Basin. The MVA has long recognized the importance of protecting The Swale. Raymond Moriyama’s initial concept plan for the South Saskatchewan River area identified the importance of The Swale for the City of Saskatoon in 1978. In the early 1990s, the MVA commissioned a report to identify priority areas for protection. Again, The Swale was on the list. 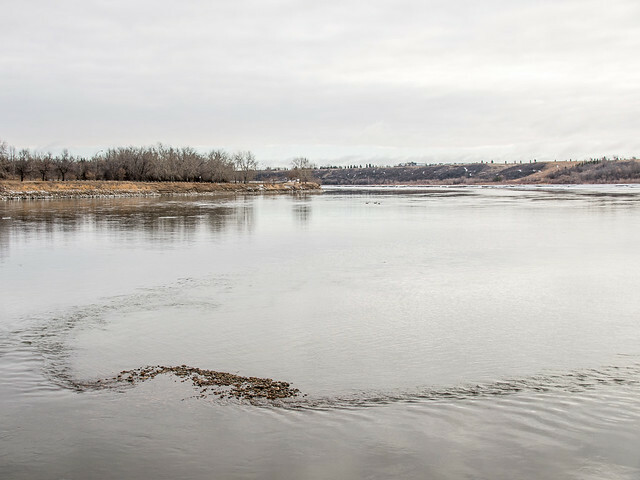 The Meewasin Valley Authority has made protecting The Swale a priority and has worked hard to convince its partner organizations of the area’s relevance. It is due in large part to their efforts that there has been an evolution in the way urban planners have looked at this area. In the 1970s, The Swale was set apart from the built-up area of Saskatoon, its only neighbours the University of Saskatchewan and the community of Sutherland. There was little impetus to build in this area as the high groundwater level would make it difficult and costly to dig and service. “90% of the surface water you see in The Swale is groundwater,” Mike Velonas, Manager of Planning and Conservation, Meewasin Valley Authority (MVA), explains. In the 1980s, the City started planning the University Heights sector. This called for the construction of new neighbourhoods in and around The Swale. Mike Velonas believes that a review of these recent neighbourhood developments indicates an evolution in our thinking about the Swale and its importance in an urban environment. As Alan Wallace, Director of Planning and Development, City of Saskatoon, explains, the regulatory framework changed as environmental issues became more important and planners recognized the significance of The Swale. A portion of the Silverspring neighbourhood, constructed in the mid-1990s, was built more or less on top of The Swale. The MVA fought to protect 34 acres of grasslands. This area, now known as the Saskatoon Natural Grasslands, carved a chunk out of the residential development that can be easily seen on a map of this neighbourhood. Silverspring neighbourhood demonstrated the need to do more advance environmental screening in the Sector planning process. As a result, the City amended its Official Community Plan to incorporate new standards for environmental screening. 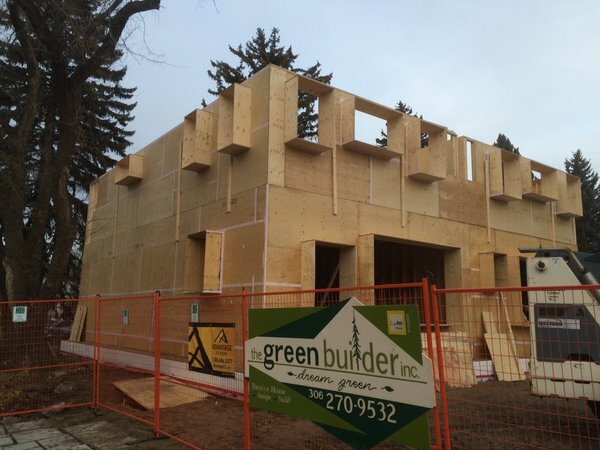 One of the next neighbourhoods to be developed in University Heights was Evergreen. This time, as a result of the environmental screening process, the City did not attempt to build on top of The Swale but rather nestled up against it. However, Fedoruk Drive, Evergreen’s northern boundary, is effectively in The Swale and wet and dry storm water management ponds were constructed inside The Swale. It’s worth noting at this point that The Swale is not pristine. There are four roads in The Swale (Central Avenue, Lowe Road, Agra Road, Range Road 3045) and other disturbances beyond what has occurred during more recent construction. Another example of the value of the environmental screening process is the proposed neighbourhood of Aspen Ridge, which is built entirely on cultivated land outside The Swale and incorporates a greenway to act as a buffer zone. As Alan Wallace explains, the 24-metre greenway is comprised of a 15-metre ecological buffer, a trail zone, and a transition zone, and is designed to serve as separation between the back of residential lots and the boundary of The Swale. The vast majority of The Swale lies outside current city limits, within the RMs of Corman Park and Aberdeen where it has little or no protection. In contrast, the City of Saskatoon and the Meewasin Valley Authority have, over the last few years, taken significant steps to recognize and protect the portion of the northeast swale that falls within city limits and have developed a wide variety of regulatory tools to protect the area. 1. University Heights Sector Plan: The map of the University Heights Sector identifies The Swale as an important natural area. No urban development may occur within The Swale without City Council amending the University Heights Sector Plan. 2. Northeast Swale Development Guidelines: In 2002, the City contracted Stantec to develop the Northeast Swale Guidelines. The guidelines designated the appropriate areas for road crossings and other infrastructure within the Swale. The 2002 report focused on identifying routes through the driest areas of the Swale in order to protect the wetlands. However, in 2011 the MVA conducted an ecoblitz and realized that the heart of The Swale – the area of greatest interest and greatest biodiversity – was also the area the 2002 Guidelines identified as a corridor for roads and power. The MVA determined that the corridor would have to be moved in order to protect The Swale. As a result of their actions, the Northeast Swale Development Guidelines were updated in 2012 to provide greater protection for this area by moving the location of the roads and power corridor. The 24-meter Greenway in Aspen Ridge is an example of the protective features included in the Development Guidelines. 3. MVA Conservation Zone: The Swale (the area within city limits) is contained within the MVA Conservation Zone. As such, no development will be permitted which is contrary to the North East Policy and related policies which are in place to protect The Swale. 4. 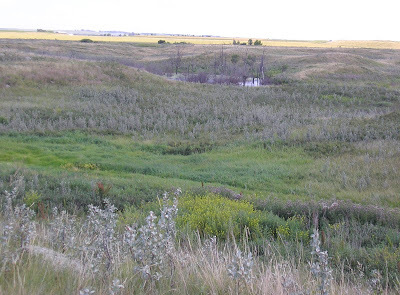 Meewasin Valley Authority Resource Management Plan: The Resource Management Plan outlines what should be done to maintain biodiversity in the Swale. 5. Public Ownership: The City of Saskatoon owns the land area comprising the NE Swale within city limits. Any attempt to sell part of this land would need to be approved by the City’s Land Bank Committee and City Council. As Mike Velonas explains, Meewasin Valley Authority’s goal in creating the Master Plan was to balance the needs of people with those of the plants and wildlife that live in the Swale by providing the public with controlled access to the Swale. The Master Plan will serve as a framework for future decision-making but is dependent on funding. The MVA will attempt to fence the perimeter of The Swale as phase 1 of the Master Plan. 7. Environmental Reserve: The Administration will be reporting back to City Council on the implications of designating the NE Swale as an environmental reserve in February 2016. 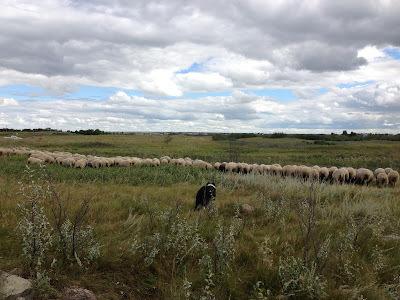 The Northeast Swale Watchers keeps a close eye on activity in and around The Swale and have a number of concerns (The Northeast Swale: Saskatoon’s Conservation Opportunity of a Lifetime). However, it is important to recognize that there has been considerable progress over the last 20-30 years and the Meewasin Valley Authority and the City of Saskatoon have taken significant steps to protect this important natural area and integrate it with urban development. A regional planning process is currently underway. We can only hope that the regional plan will ensure that the Greater Swale (which is outside city limits) will also undergo an environmental screening and protection process. By acting together and maintaining our efforts, we can protect the northeast swale for future generations. Note: This article is based on a November 2015 conversation with Louise Jones and Candace Savage of the Northeast Swale Watchers, an advocacy group whose goal is to protect the biodiversity of the Swale. The land whispers in your ear as you walk across the Northeast Swale. Its low-lying wetlands and rocky promontories speak of an ancient river channel, carved by the melt waters from a slow-moving glacier. Smooth, shiny areas on lichen-covered rocks tell of buffalo that halted in their journey to relieve an itch by rubbing themselves. Pause for a moment and feel the life pulsing around you. This important fragment of an ancient prairie landscape is home to more than 100 species of birds and 200 species of plants. Listen carefully and you’ll hear the song of a meadowlark. Part the grasses at your feet and you may spy a rare crowfoot violet. 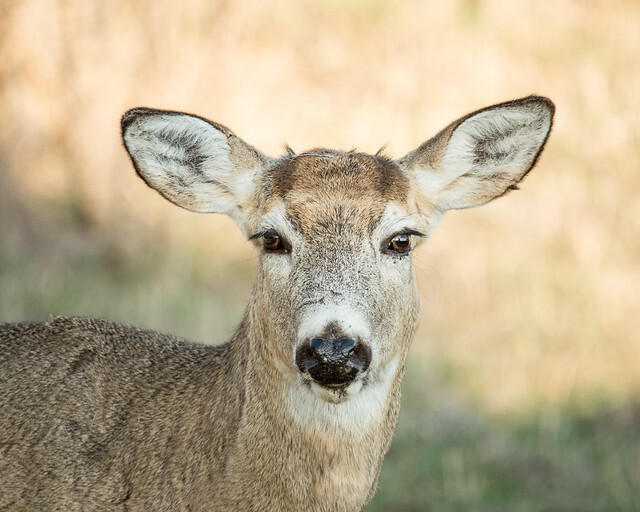 Both mule deer and white-tailed deer have made this land their home. This magical landscape isn’t a remote wilderness area. Instead, it lies on the very edge of Saskatoon, soon to be surrounded by new residential neighbourhoods. 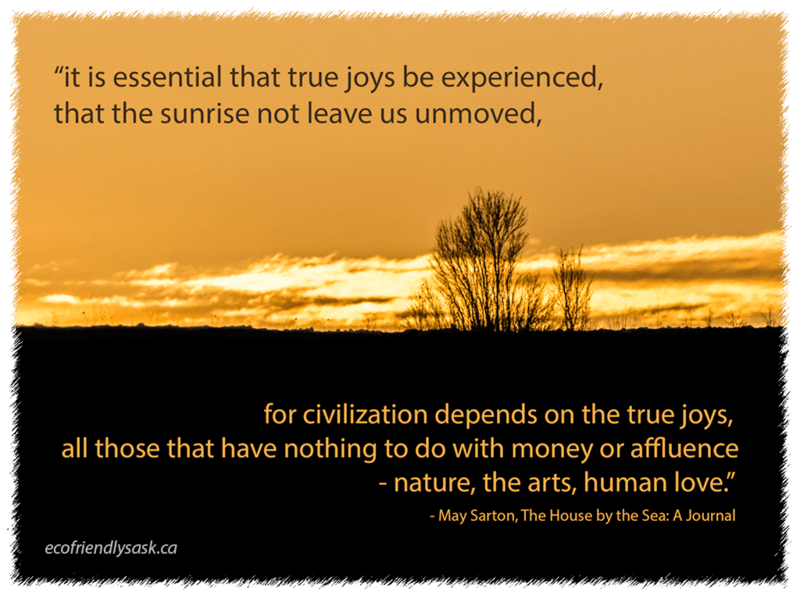 The land cries out to us, demanding that we value it and protect it for future inhabitants. The Meewasin Valley Authority and the City of Saskatoon are to be commended for recognizing the value of this urban nature preserve, but much remains to be done if we are to protect and sustain this area in the face of ongoing development. The Northeast Swale Watchers keep a close eye on activity in and around the Swale and have a number of concerns. The City of Saskatoon and the Meewasin Valley Authority recently approved the Northeast Swale Master Plan. The plan covers the part of the Swale that is within City limits and is intended to provide comprehensive planning and resource management. A significant problem is that the Master Plan doesn’t protect the ecological connectivity of the Swale. The Swale is an ancient river channel providing a natural connection to the river. Animals looking for water use the Swale to reach the river. Connected wetlands and ground water flow towards the river. Maintaining that connectivity is critical if we are to protect this natural area. Unfortunately, we seem to be breaking it up into tiny pieces. The Master Plan emphasizes the importance of ecological connectivity, lists the problems caused by situating two major roadways less than a kilometer apart, and yet does nothing to resolve the problem. There are solutions, such as moving the Perimeter Highway further outside of Saskatoon’s expanding city limits and connecting it with the new Warman overpass, but the Provincial Government appears unwilling to revise their outdated plans. The City of Saskatoon and the Meewasin Valley Authority have good intentions, but they fail to translate into action. Construction has already started in Aspen Ridge, but municipal officials admit they “fell down” in providing the contractors with the pre-development guidelines, which were specifically designed to protect this ecologically sensitive area. It appears that lighting for the North Commuter Parkway will be the same as any other major arterial controlled access roadway with no allowance being made for its location in the Swale with lower speeds and a dark area where animals are expected to cross the road. 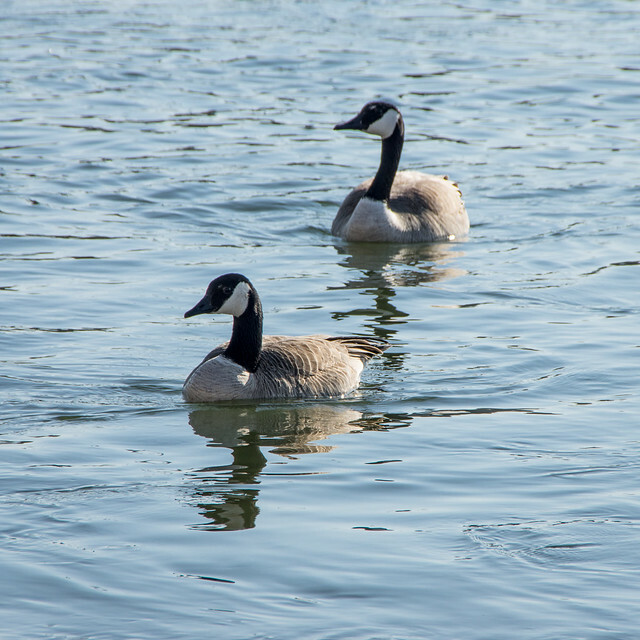 The Meewasin Valley Authority is responsible for long-term ecological monitoring. The City of Saskatoon and its contractors have responsibility for monitoring work in progress. The two parties appear to be passing the buck with no one currently ensuring that residential and roadway development is in line with the Northeast Swale Master Plan and guidelines. In addition, monitoring in and of itself isn’t sufficient. What action will the City take if the work isn’t in compliance? Will they be prepared to stop work? Integrated project management with an overarching authority taking responsibility for ensuring that the Swale is protected would go a long way to addressing the problems which continue to arise. Unfortunately, if there is an overarching authority, it errs on the side of promoting development. The Land branch is extremely powerful as it actually makes money, rather than simply spending it. It operates at arm’s length from the other municipal departments and has pushed development around the Swale because it owns the land, despite the fact that the local housing market is currently over-saturated. Saskatoon should look to the City of Edmonton’s Office of Biodiversity, which coordinates biodiversity for the city, working with other departments to ensure that natural areas are protected. As individuals, we often feel powerless. But that isn’t the case. 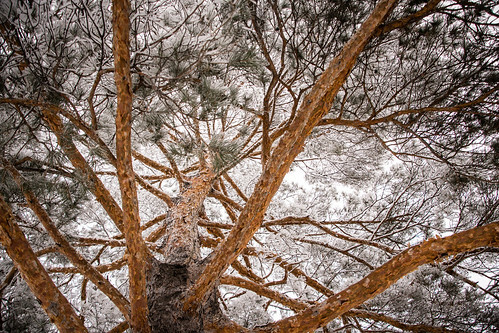 Stewards and activists both play a vital role in protecting our natural areas. The Rosewood Community Association takes pride in its numerous green corridors and parks, including the Hyde Park Naturalized Area. Local residents hold regular park clean-ups and some residents, who are fortunate enough to back onto the naturalized park, are changing the plantings in their own yards so as not to introduce foreign plants into the park. Evergreen residents, with the support of members of their community association board, have just begun setting up a Northeast Swale stewardship group. There is so much that a neighbourhood stewardship group can do to both protect and enjoy the wild area that is right on their doorstep. 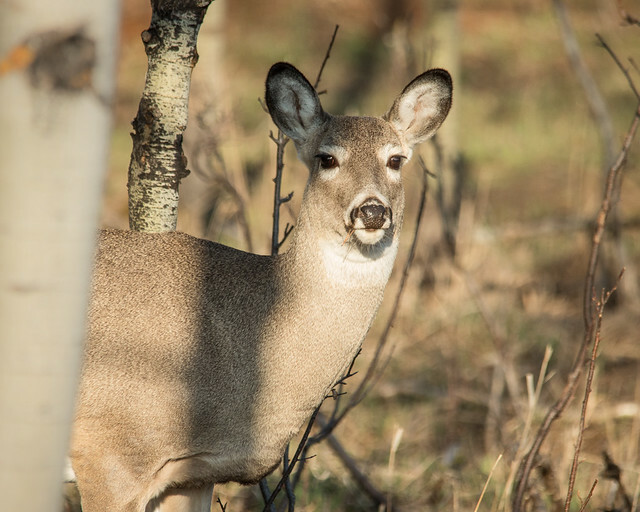 It could be as simple as recording the number of deer you see as you look out your window. School groups are already helping to monitor water quality, and the Meewasin Valley Authority would welcome assistance with monitoring, revegetation, and controlled burns. The Swale is invaluable as an outdoor classroom, readily accessible from all parts of the community. Students from Saskatoon and Martensville are already visiting the Swale, taking advantage of this nearby opportunity to learn about native plants and hear the distinctive call of the meadowlark. Lobbying our politicians helps to shape the political agenda. And the more voices there are, the more likely it is that our words will be heeded and acted upon. If you want to help protect the Northeast Swale, be sure to attend the public meeting at 7 pm, November 25, 2015, at the Frances Morrison Library. 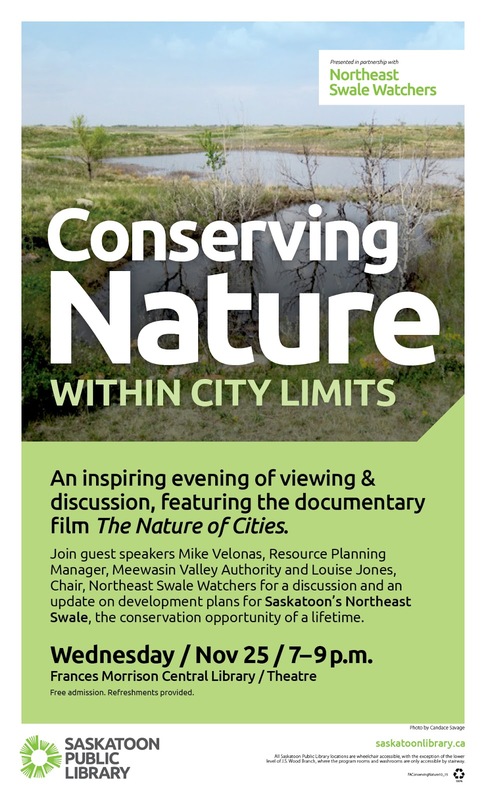 A viewing of the documentary The Nature of Cities will be followed by an update on development plans for the Northeast Swale. The Northeast Swale Watchers are also on Facebook. Author Jerry Haigh will lead a discussion about Pink Rhino Horns and Other Toxic Wildlife Matters at the 6:30 pm, Nov. 17, meeting of Tox on Tap at the Woods Ale House. The best of the Vancouver International Mountain Film Festival will be shown in Regina at 7 pm, Nov. 26. PCAP is hosting a webinar presentation by Kerry LaForge, Agriculture and Agri-Food Canada regarding the Grazing Response Index on Dec. 9. The program will help the University reach its goal of diverting 1,500 tonnes of organics annually. Adopt an animal and give it a second chance. Adoption fees go toward food, housing, medical care, transportation, and general care provided by Living Sky Wildlife Rehabilitation. 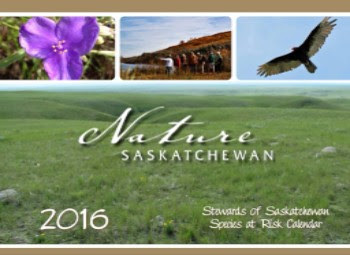 Copies of Nature Saskatchewan’s Species at Risk calendar are now available by contacting info@naturesask.ca. Nominations are now open for the Saskatchewan Waste Minimization Awards. Green Drinks Saskatoon will be meeting at The Ivy restaurant at 5:30 pm, Nov. 13. Join University of Regina researchers as they share their research on oil extraction from 1-2:30 pm in ED514, University of Regina, Nov. 18, 25, and Dec. 2. Nov. 18: Emily Eaton will examine the regulatory framework for oil and gas in the province, identifying a trend toward less oversight and industry self-regulation during a time of increased drilling and production activity. Nov. 25: Simon Enoch will outline the expansion of rail capacity for crude oil in Saskatchewan while also assessing the adequacy of current regulations to ensure the safe transport of this volatile commodity. Dec. 2: Dr. Sean Tucker will review the causes of the safety events at the Consumer’s Co-operative Refinery between 2011 and 2015. The City of Saskatoon accepts household hazardous waste once a month at the SaskTel Centre from 9 am - 3:30 pm. The next Household Hazardous Waste Day is Nov. 21. Sage, the Saskatoon Zoo Society’s new burrowing owl, will be at Wild Birds Unlimited at 1 pm, Nov. 22. The Northeast Swale is Saskatoon’s conservation opportunity of a lifetime, but it’s threatened by development. 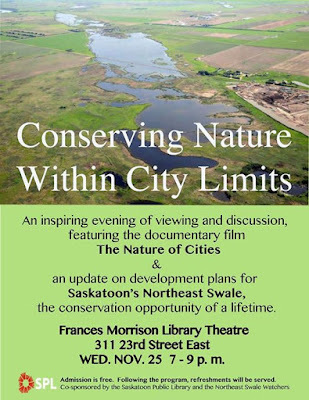 Participate in a discussion on Conserving Nature Within City Limits from 7-9 pm, Nov. 25, at the Frances Morrison Library. A viewing of the documentary The Nature of Cities will be followed by an update on development plans for the Northeast Swale. Join the #Saskatoon2Paris climate mobilization march at 1 pm, Nov. 29. SaskOutdoors and Sask Parks are hosting a winter camp at Buffalo Pound Provincial Park, Dec. 5-6, to give participants the skills to camp year-round comfortably. Sense & Sustainability, a feature-length documentary, asks the question, “Is a species set on endless growth sustainable?” exploring the scale of the human endeavour and its impact on the environment. One hundred per cent of Canadians think it’s a good idea to donate blood. One hundred per cent know why it’s important to donate blood. But less than 4% of Canadians actually donate blood. Why? As Ken Donnelly, a practitioner with over 20 years of experience in community-based social marketing, explained at an Oct. 30 workshop sponsored by the Native Plant Society of Saskatchewan, there is a gap between attitude and awareness and behaviour that is extremely difficult to bridge. Community-based social marketing (CBSM), as developed by Dr. Doug McKenzie-Mohr, applies behavioural psychology to environmental program promotion. It focuses on behaviour and emphasizes social contact. The CBSM toolbox incorporates research, small questions, prompts, commitment strategies, norms, and effective communications. 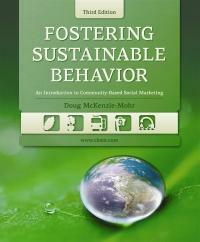 Fostering Sustainable Behavior: Community-Based Social Marketing: Doug McKenzie-More, a psychology professor at St. Thomas University, is the founder of community-based social marketing. His website provides articles, case studies, a discussion forum, and a free online copy of his first book. Fostering Sustainable Behavior: An Introduction to Community-Based Social Marketing, McKenzie-More’s most recent book, is available from libraries in Saskatchewan. Beyond Attitude: Ken Donnelly has employed CBSM principles in his consulting work to address a wide range of environmental concerns. 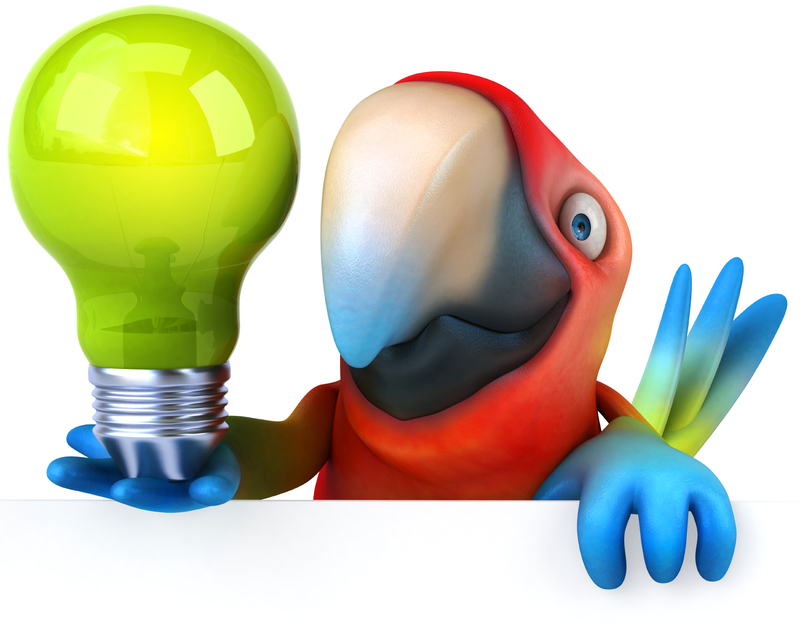 His online blog/website contains a wealth of useful tips and best practices. Tools of Change: The Tools of Change website provides a collection of voluntary behaviour change, social marketing, and CBSM case studies. As I learned more about community-based social marketing, I was struck by the similarities to a book I’d read a few years ago that had influenced me a great deal. 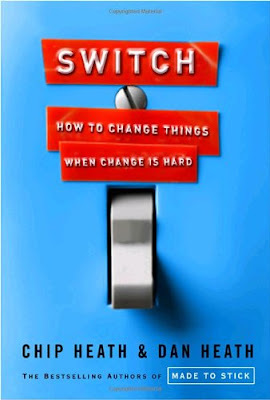 Switch: How to Change Things When Change is Hard by Chip Heath and Dan Heath outlines three key ingredients for change. First of all, there is the human component. The Rider is the rational, reflective, deliberative side of human behaviour. His counterpart is the Elephant, the emotional, instinctive side of human behaviour. Finally, there is the Path, the environment or situation surrounding the human players. Additional information is available on the Heath brothers’ website. Kelsey Marchand will share pictures, stories, and some preliminary results from the first field season of the Wascana Turtle Program on Nov. 12 at 7 pm at the Royal Saskatchewan Museum. Derek Sandbeck’s reductive woodcuts are on display in The Gallery, Frances Morrison Library, from Nov. 12 – Dec. 24. The whimsical woodcuts deviate from traditional wildlife images and reflect a disconnect between nature and self. First Nations Power Authority is hosting a First Nations Community Energy Forum in Saskatoon on Nov. 17. Topics will include community energy planning, getting started in the power industry, and renewable energy options for communities. Jim and Angie Bugg, who installed solar panels over a year ago, will provide tips on having your own solar-powered home at 7 pm, Nov. 17, at the Frances Morrison Library. PCAP is hosting a webinar presentation by Ahdia Hassan, SK Conservation Data Centre, on iMap Invasives at noon, Nov. 18. The Nov. 19 meeting of the Saskatoon Nature Society features Kelsey Marchand talking about her research into western painted turtles followed by Christopher Somers discussing cormorants in Saskatchewan. The documentary Plight of the Grassland Birds will be shown at 7 pm, Nov. 19, in Regina. It will be followed by a panel discussion with bird biologists Kayla Balderson Burak, Jason Unruh, Ryan Fisher, and Stephen Davis. 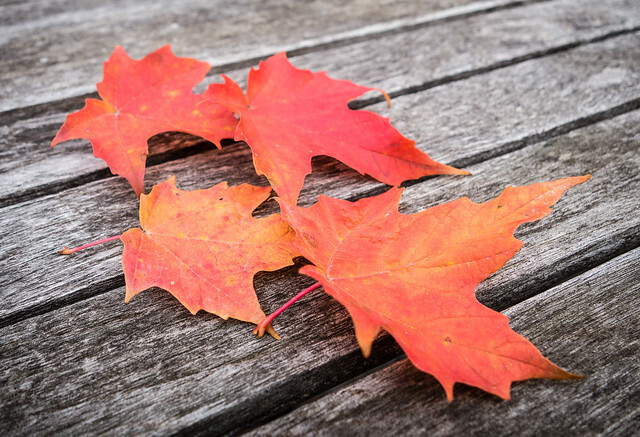 EcoFriendly Sask supported 3 local projects with just under $3,000 in October.